New media is all the rage now and now all the big product launches are streaming online well before the press has any time to catch up.It’s significant that auto giant Toyota Motors are revealing their all-new, 2016 Prius hybrid tonight in a webcast from LIVE in Las Vegas meanwhile their rival Honda Motors is barely a week from now doing a similar deal on YouTube for the next-generation 2016 Civic compact car. Both the Civic and the Prius stand as important trademarks to their respective brands. The grand unveiling, however, won’t be a splashy staged affair at some international auto show (the Frankfurt auto show is not till later next week). This new style of marketing could be indicative of companies following the footsteps of tech giant Apple (with their simulcasted events) but it could also be because both are compact, fuel-efficient cars don’t catch the attention of the press and Auto Show-going public the way the more expensive “groundbreaking” endeavors do. It is true that Toyota’s Prius was the car that single handedly pushed hybrid automobile technology into the mainstream. A few years ago we were hitting peak high gasoline prices since the first Prius rolled off the lot. The car was once known for having above-sticker transaction prices and it grew into the darling of commuter-lane driver. Eventually, the Prius popularity ran concurrent with the dollars and cents displayed on the gasoline pump; the current energy glut has cut into the car’s legacy, not to mention it outright sales numbers. Fast forward to now, the Prius is struggling to overcome its reputation as an “efficient” performer and the go-to evidence of Toyota’s ambivalence to creating vehicles that are involving (*ahem* interesting) to drive. Of course none of any of that stuff really matters to the legion of Prius devotees who take pride in the tanks full of gasoline they’ve saved over the years. Toyota’s spokespeople seem set on changing the image of this tentpole. 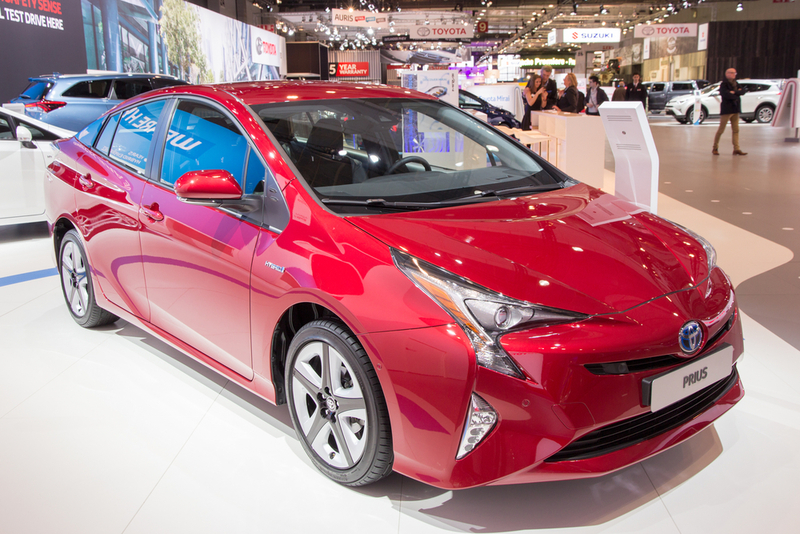 According to them, “The all-new 2016 Toyota Prius will challenge what you know about hybrids with its striking new look, smarter technology and impressive fuel economy– all in a package that’s more fun to drive than ever.” Be sure to check out the live show to see if it really lives up to the promise but either way just the fact that they are having a live show is indicative of them expanding the Prius’ demographic appeal. 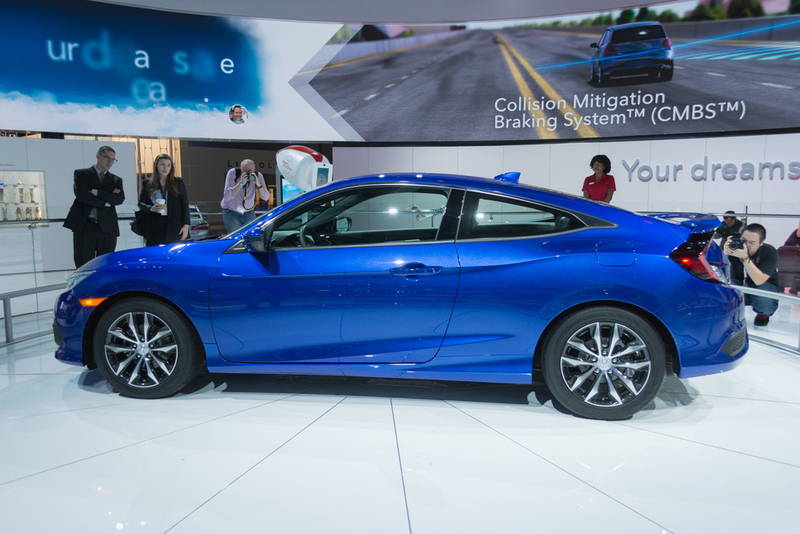 At the same time, Honda’s sold millions Civics since it was introduced to the U.S. in 1972 and it’s perennially one of the nation’s best-selling cars. Honda’s not worried about whether the all-new Civic will sell (it surely will), but, like the Prius, its relative impact in our current cheap-gas environment will be scrutinized by all car companies, which have to plan, predict and guess years in advance of today’s trends. Both cars are being revealed on the web because of their attraction to millennials. Honda insinuated as much in a press release, calling it “the most popular vehicle with U.S. millennials” over the past five years. I mean, I grew up in an era when Civics were synonymous with street racing/tuning culture (they were prominent in the early Fast & Furious films). But that image of the Civic as a “rice burner” has faded for the more refined affordable gas saver. The sportier styling of the car given way to emphasize uniformity with the rest of the Honda brand. This new, tenth-generation Civic’s longstanding credentials as an economy car will be less important than its ability to revive the model’s reputation with performance-on-a-budget tuners and other brand loyalists who’ve jeered as the last couple generations of Civic have sublimated their once-renowned rep for sharp handling and firecracker engines in favor of a softer appeal aimed at a broader demographic. In spite of low gas prices and the public’s flight to crossovers and pickup trucks, the new Civic could very well boost its sales profile: there’s the promise of the model’s first-ever turbocharged engines and Honda is reversing an ill-considered call from a couple of Civic generations past when it ditched the car’s hatchback body style. The new Civic is reviving the hatchback configuration and is for the first time combining it with four-door functionality. 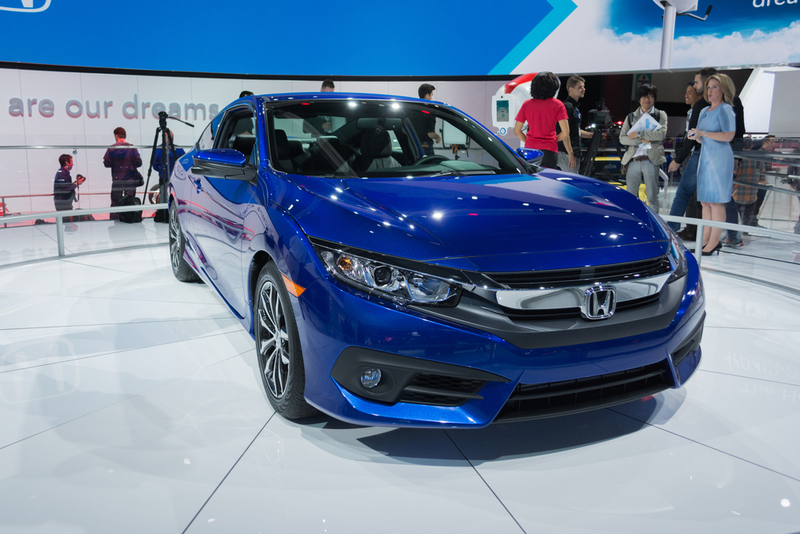 Honda claims the live YouTube launch will be the first ever for a car on YouTube Space LA. It’s surprising to think that’d just a few months ago, the Auto Shows were where people went to for the latest and greatest glimpses into the auto industry, now it seems all it takes is a click online. No doubt due to the coveted “millennial” demographic coming of age as the current buyers for new cars it seems appropriate that companies like Toyota and Honda race to their attention.